Take home memories of your trip from an Early American style shop. 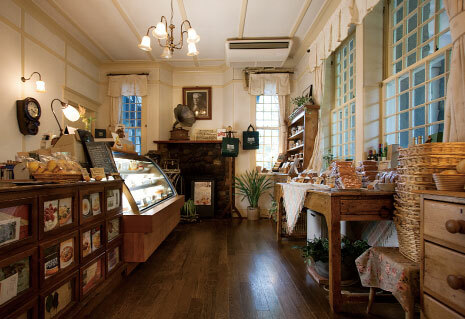 At Meiji-no-Yakata Cake Shop, located in front of the Tobu Nikko Station, you can find our signature dessert, cheesecake "Nirvana" as well as a large selection of cakes, tarts, and cookies that will treat you to the delightful tastes of traditional America and Europe. Gift boxes are also available, making these items the perfect gifts. During your visit to Nikko, we also welcome you to visit our café on the second floor where you can enjoy these cakes along with coffee and tea. 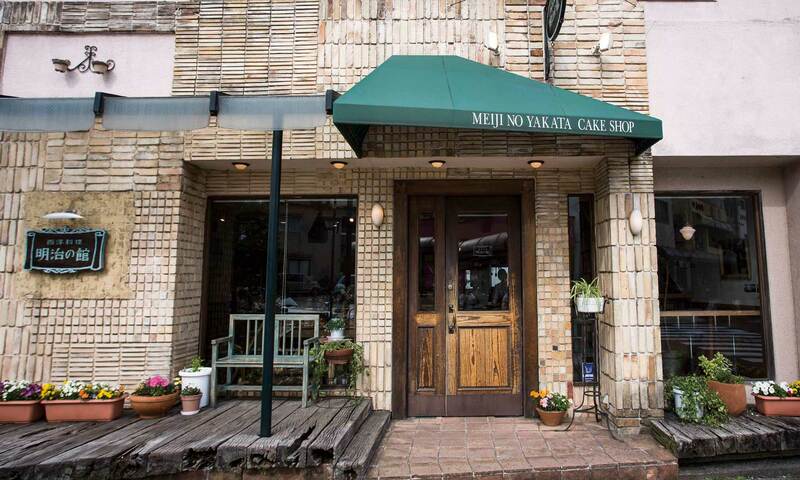 Located inside Meiji-no-Yakata, we have a large selection of cakes, tarts, and cookies including our signature dessert, cheesecake "Nirvana". Gift boxes are also available, making these items the perfect gifts. 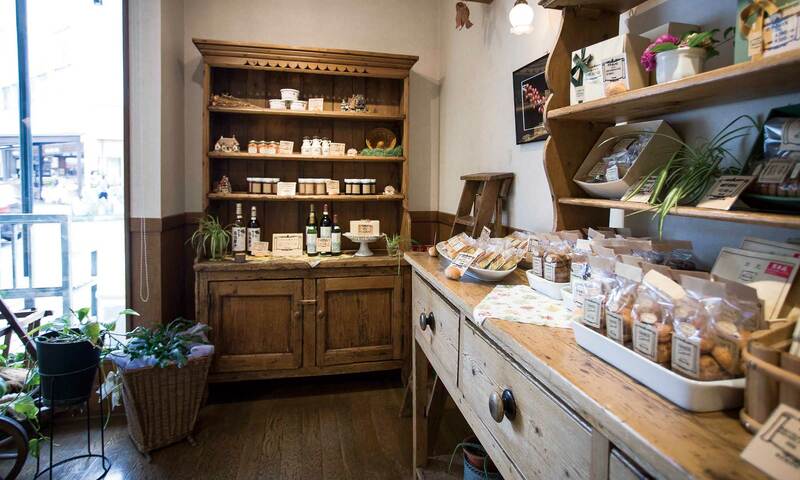 When you visit Meiji-no-Yakata, we welcome you to come visit the shop after your meal. 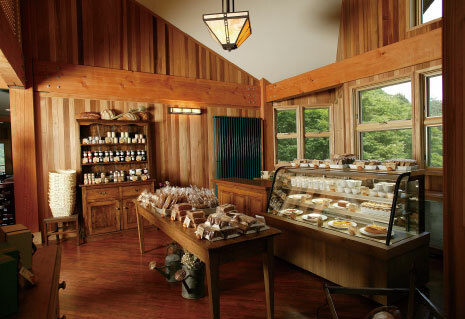 Located inside the Yama-no-Restaurant in Kirifuri Highland, we have a large selection of cakes, tarts, and cookies including our signature dessert, cheesecake "Nirvana". After enjoying your meal, we welcome you to visit our shop so that you can bring home memories of your Nikko Kirifuri Waterfall trip. 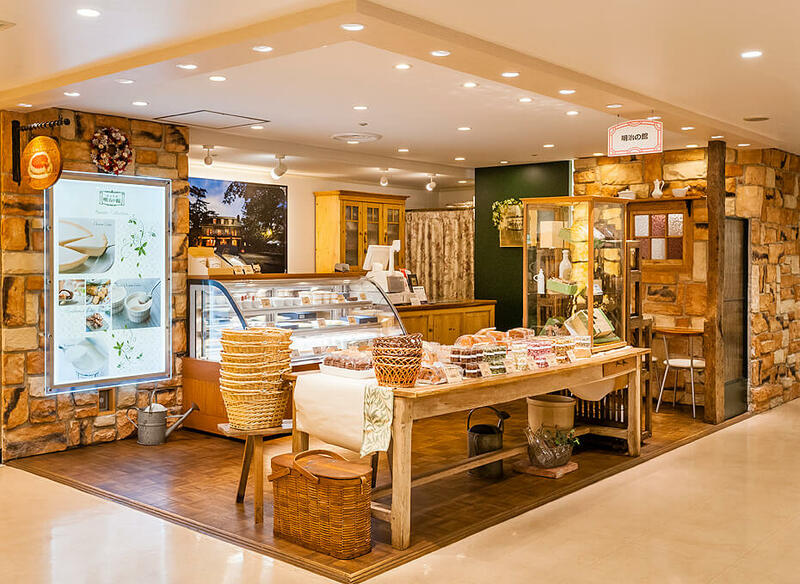 Items sold in Meiji-no-Yakata are also available for purchase at Tobu Department Stores so that you can enjoy the wonderful tastes of Meiji-no-Yakata closer to home.